Tribal enrollment is one of the functions that is mandated under US v Washington, the famous 1974 Boldt decision regarding treaty rights to fisheries. Enrollment establishes who is entitled to exercise the treaty rights. While tribes may have their own rules about blood quantification and qualification, it still remains the job of enrollment personnel to review applications and supporting data, to ascertain who is an eligible tribal member. 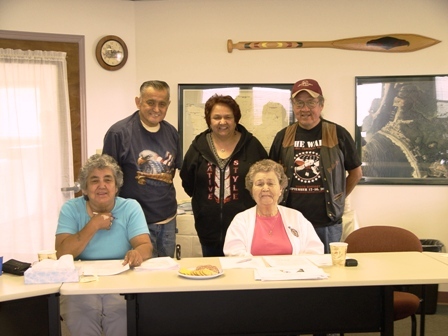 Quileute sets its blood quantification and other requirements within the tribal Constitution and elects the Enrollment Committee that works with our Enrollment staff person, Nellie Ratliff, on these matters. She may be telephoned at (360) 374-2245, or emailed at nellie.ratliff@quileutenation.org. Materials can be faxed to (360) 374-9250 or mailed to her attention at Quileute Natural Resources, PO Box 187, La Push, WA 98350. In addition to validating tribal standing, the enrollment staff works with agencies to provide proof of enrollment by letters. Colleges, public schools, clinic services, and other benefit programs need such information. Enrollment services also establish eligibility for voting in Quileute elections. Our current Enrollment Committee includes Mary Eastman, Marian Schumack, Sharon Pullen, James Hobucket, Arnold Black, Sr., and Bonita Cleveland. To view or download an enrollment application, click here.